Why are back pain and spinal injuries plaguing golf? This article originally appeared in the March issue of GOLF Magazine. In golf, success is promised no one. But for Philip Francis, it once seemed guaranteed. Born in Las Vegas and raised in Scottsdale, Francis started swinging golf clubs as soon as he could toddle, and he captured his first tournament when he was four, trouncing opponents twice his age. Jim Flick, who taught Jack Nicklaus, was so impressed with Francis that he offered himself up as his instructor. Others who watched him play in his precocious prime still speak of Francis in awestruck terms. "He was unreal, totally insane," says two-time Tour winner Jamie Lovemark, who came up through the junior ranks with Francis. "A golf savant," adds Mike Malaska, a GOLF Top 100 Teacher based in Scottsdale. "You can toss out other names like Mickelson or Seve. But from 100 yards in, Philip Francis was the best I've ever seen." In 2002, when he was 14, Francis won his fourth straight Junior World Golf Championship, breaking Tiger Woods's record for most consecutive victories in the event. That was in the midst of a 65-week stretch when Francis was the top-ranked junior in the game, one notch ahead of his buddy, Rickie Fowler. On a podcast last year, Rory McIlroy was asked about the most impressive players he faced in his youth. "Philip Francis," McIlroy said. "I'm not sure what he's doing now, but I just could not beat this kid." What Francis is doing now is living in Chicago, out of competitive golf and earning a living as an analyst for a high-tech consulting firm. At 29, easygoing and content, he isn't one for coulda-woulda-shoulda's. But when he looks back, he says he can see clearly why his game went wayward and his body turned against itself. He can even single out one of the swings that did it, an agonizing low-point in a downward spiral that began in 2007, when, as a freshman at UCLA, he decided he needed to get longer—never mind that he routinely beat the most prodigious bombers and that he flew it plenty far himself. "I could get it out there 280 or 290, and I did pretty well with that," Francis says. "But it did start to bother me that some guys were knocking it 30 yards past me." 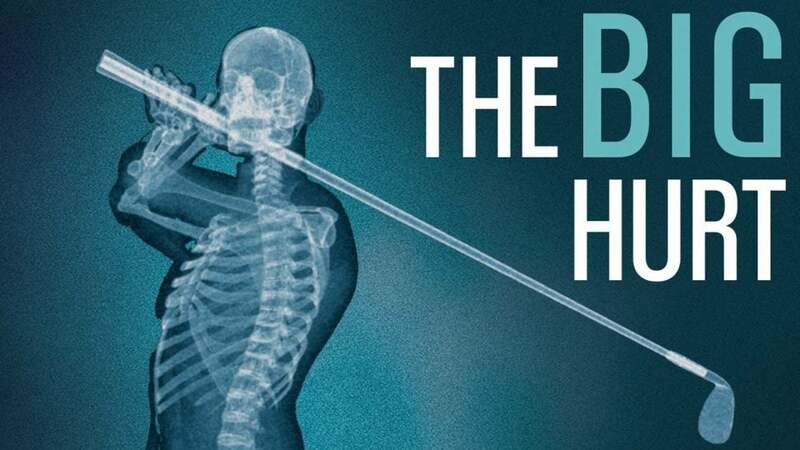 Not only does the golf swing call for the spine to rotate, it forces it to do so at a tilt, over and over again, at excessive speed—not what the doctor ordered. Around that time, Francis parted ways with Flick, who'd always preached the primacy of rhythm over power. A feel player at his best, Francis started crunching numbers and pumping iron. He strapped on a K-Vest and studied 3-D images of his action. He embraced buzzwords like "coil" and "separation," and enlisted with an acolyte of David Leadbetter who encouraged him to strive for a greater differential between the turn of his shoulders and his hips. Francis's scores began to suffer. So did his lower back. The pain and tightness persisted after college (he transferred after his sophomore year to Arizona State University), but Francis played through them. Then came qualifying school in 2012, at Dayton Valley Golf Club outside Reno—and a slash with a long iron that drove him to his knees. "It was like an electric bolt shooting up my spine and into my neck," Francis says. "The pain was so intense it knocked me to the ground." An MRI confirmed it: tears in a disc between two vertebrae. After seven months of rehab, Francis went back at it. But a game that once came easy had long ceased being the same. "Looking back today, it's so obvious to me that with the way I was going about things, it was only a matter of time before I got hurt," he says. "But when you're in the middle of it, that's not how you're thinking. You're always trying to get any edge you can." For all his uncommon promise, Philip Francis is something of a familiar story. It's a narrative that mixes gaudy golf achievements with the grim diagnostics of a medical report. Similar threads run through the résumés of many near the top of the World Golf Rankings. For almost every major title, there is mention of a surgery, a medical exemption, or time spent sidelined from injury or pain. Among the names worth noting are Jason Day and Danny Willett, both beset by back woes before and after their first majors, as well as U.S. Open champion Justin Rose, who captured gold in the 2016 Olympics then retreated to recover from back issues of his own. Meanwhile, McIlroy, who never could beat Francis, spent much of last year trying to beat back and rib pain. Rory has recovered. So has Jamie Lovemark, though it wasn't easy. Now 28, Lovemark traveled a long road back from from disc-replacement surgery seven years ago. What to make of all of this is a subject of debate. There are those, Lovemark included, who are skeptical that golf is in the midst of an epidemic. "As hard as we swing these days, sure, it's not good for your body, but I also feel like golfers have always had bad backs," Lovemark says. "With all the media coverage, I feel like it's more in your face these days, so maybe we're just hearing about it more." He's right to say that back pain is nothing new for golfers (count Lee Trevino, Lanny Watkins and Retief Goosen among the well-known graybeards who've undergone back surgery). It's also true that long-term trends are difficult to trace; the PGA Tour does not keep detailed data on specific injuries behind medical exemptions or causes of withdrawals throughout the decades. Yet anecdotal evidence keeps piling up of players getting injured at a younger age. "I never had back problems. Jack and Tom [Watson] never did," says 1973 U.S. Open champion Tom Weiskopf. "We practiced just as hard and played just as much as these players today. We just got hurt a whole lot less." Why the apparent scourge is another question. Consensus concentrates around a confluence of factors, from the repetitive strains of youth-sports specialization to the wraparound demands of the Tour season. Adding to the mix are changes in technology, training and tournament setups that are meant to either furnish or favor power, which, in turn, encourages more violent swings. Eye-popping purses only reinforce the cycle of bigger, stronger players trying to hit it farther and cash in faster, regardless of the physical toll it takes. Longevity is a less urgent goal than length. It's a perfect storm, and swirling at its center, many experts say, are fundamental shifts in the golf swing itself. "Just in general, the swing has gotten shorter, faster and tighter," says Golf Channel analyst Brandel Chamblee, who fleshes out that thesis in his book The Anatomy of Greatness: Lessons from the Best Golf Swings in History. "When you do that, you're basically turning the body into a time bomb, and sooner or later the spokes are going to start busting off the hub." Although Chamblee cites many names in support of his argument, Exhibits A and B for him are Tiger Woods and Michelle Wie, the two most soaring talents of their time. Woods has been under the knife more times than the guy in the Operation board game, while Wie's litany of injuries might lead you to believe that she's a running back. That one is fond of twerking and the other has a penchant for jumping out of airplanes may provide a partial explanation. But it doesn't change the fact that both superstars fell prey, to differing degrees, to what Chamblee describes as a detrimental drift in golf instruction. That vogue, which first gained traction in the "80s, called for players to maintain a flexed right knee during the backswing, the better to build a stable base for the shoulders and torso to turn against, loading the body like a spring. "Not only is that a bad way to hit a golf ball, it's also a very good way to get hurt," Chamblee says. "Look at Michelle's swing when she first came out, before she started making changes. It was long and fluid, with a full release of the lower body. It was a thing of beauty, and she could have played until she was 65." Sam Snead's swing lasted well beyond that age. So did Byron Nelson's. Tom Watson came within a whisker of winning the British Open when he was 59. Along with 20 combined majors, what those three men shared, Chamblee says, were the languid, rhythmic passes they made at the ball, with ample lateral movement in the lower body. Phil Mickelson is another player in that long and flowing mold. He's 47, with five majors—more than half his life on Tour, and still largely injury-free. Sam Snead's swing was languid and long, not the torqued and tight one made popular by Tiger. "Everybody has to find their own way to play," Mickelson says. "But I'm fortunate in that the way I swing puts less stress on the body than some others." That's a fair description. It's also a broad one. When great players get specific, it can lead to painful misperceptions, since great players rarely do exactly what they say. Take Ben Hogan, who wrote in his canonical Five Lessons of keeping his left heel planted; photos of Hogan, left heel clearly lifted, prove that he didn't practice what he preached. Jack Nicklaus, a prominent heel-lifter in his own right, described the feeling of keeping his head still during the swing, when, in fact, he cocked it at address and let it move from there. "Jack was describing a feeling, but in golf there's almost always a difference between feel and real," says instructor Mike Malaska. "So then you get people trying to keep their heel flat or their head still or whatever. They're trying to do things that are not only physically impossible for them, but that also happen to be things that the players they're trying to emulate don't even actually do." In the modern era, no golfer has inspired more mimicry than Tiger. Even when they couldn't keep up on the course, countless players copied him in the gym. Coincidence or not, Woods developed a bad back along with his yacht body. So did Rory McIlroy, though Rory says his workout program was designed to prevent injury, not the other way around. Precisely what effect it had is impossible to say, but it's hard to shake the thought that the bulked-up McIlroy winced a lot more in early 2017 than previous versions of himself. Contrast his profile with that of Bubba Watson, an uninjured string bean and one of the longest bombers in a game whose biggest hitters tend to look like fitness instructors. According to Sean Foley, the science-minded golf instructor who once taught Tiger Woods and now teaches Justin Rose, Watson's footwork spares his body wear and tear, since he rarely finishes the same way twice. Watson's distinctive moves also mark him as a throwback to a shot-shaping era, the age of balata and Ballesteros. The game has changed dramatically since then, in symbiotic evolution with equipment, and that entwined relationship is part of the injury discussion, too. Wielding lighter clubs with larger, spin-reducing sweet spots, today's Tour pros bash solid-core balls designed for longer, straighter flight. At the same time, television coverage glorifies the long ball, while tournament setups increasingly favor a bomb-and-gouge attack. In a Darwinian sense, golf naturally selects for a certain type of species, progressing toward a player who is generally portrayed as being "more athletic." But you could also draw up a different kind of diorama, depicting the transition from a pot-bellied Tour pro to a strapping twentysomething with a balky back. "I won't try to boil it down to a single issue because there's so much going on, and I prefer to take a holistic approach," Foley says. "But with all the money in the game, look at the players you're pulling in. I was on the range the other day, and there's Jon Rahm, Adam Scott, Justin Rose, DJ. We're talking an average of six-foot-two. That used be to a linebacker in the NFL. We know that force equals mass times acceleration. All that force these guys are generating, their bodies have to deal with it, too." When you swing a golf club, you're essentially doing this," says Dr. Michael Duffy, an orthopedic surgeon at the Texas Back Institute. It's a cloudy afternoon in Plano, outside Dallas, and Duffy is camped out in an office in a large medical complex, twisting a plastic model of the human spine. One of the leading spine treatment centers in the world, with nine locations and 22 physicians, the Texas Back Institute conducts some 3,500 surgeries annually; one of last year's patients was Tiger Woods. Like Woods, Duffy is a former collegiate golfer, fluent in the lingo of modern swing instruction, with its X-factors and torsions and ground forces and planes. At the moment, though, he's talking Anatomy 101. "In the normal spine, you've got 24 pre-sacral vertebrae," he says, running a finger along his visual aide, starting with the neck and working down. "You've got seven cervical, 12 thoracic and five lumbar vertebrae, followed by the sacrum and the coccyx." He pauses, points. "Here is where we usually see it." "Here" are the spinal segments known as L4-L5 and L5-sacrum (S1), the two lowest spinal segments in the lumbar region. Along with the discs, ligaments and soft tissues connected to them, these help support the upper spine, a weighty task that also requires multidirectional movement. As if these vertebrae weren't already plenty busy, along comes the golf swing with its myriad demands. Not only does it call for the spine to rotate, it forces it to do so at a tilt, over and over, at excessive speeds, interrupted midway by the jolt of impact. Further contributing to the strain is the fact that the mid-spine wasn't really meant to turn, anchored as it is to the thorax. To compensate, the lumbar region assumes more of that burden. "So now you've got all this centrifugal force, all this torque coming through here," Duffy explains, giving the plastic spine another twist. "That's what the swinging is doing, again and again and again." A common consequence is hypertrophy, or enlargement of the facet joints, in the L4-L5 and L5-S1 segments. Play the game for long enough and you'll get some form of it. Duffy's term for it is "golfer's back," and he says that he sees it in increasingly younger players. "People in their early 20s who have been basically playing all their life," Duffy says. "They're playing junior tournaments, college golf, they're trying to get on Tour. And when they're not competing, they're hitting hundreds if not thousands of balls a day." The more severe the problems—which can range from inflammation to herniation to advanced degeneration of the disc—the less likely rest and rehab will suffice. Disc replacement surgery is one remedy. The Texas Back Institute helped pioneer the procedure, which inserts a synthetic substitute for the body's natural spinal cushion. That's what Jamie Lovemark had in 2011. In some cases though, when a back is too far gone, disc replacement is of no use. When Tiger Woods went under the knife last April, he had two vertebrae fused instead. What Dr. Duffy calls "golfer's back" tends to be located in the lumbar-region spinal segments known as L4-L5 and L5-sacrum (S1). Even when his back was at its worst, Philip Francis steered clear of surgery. In the wake of his 2012 Q-School blowout, he tried a variety of treatments, everything from acupuncture and cupping to deep-tissue massage. "Basically, any therapy that had ever helped anyone," Francis says. In 2013, he took another stab at getting his card. Although the pain was intermittent, the memory of it lingered. "With pretty much every swing," he says, "I was thinking, "Is this going to be the one where my back goes out?"" Francis failed to qualify that year and the next. In 2015, he fell short in the first stage of Q-School by a shot. As he lost his edge, he recognized that he'd lost his love, too. For years, he says, he'd felt the fire fading, but it took time to admit it. Golf was what he thought he was destined to do, and people he respected reinforced the message. After his freshman year of college, Francis had earned an exemption to the John Deere Classic, where, on Saturday, he shot a 64 while paired with Jason Day. "Jason was like, "What are you doing in college? You should be out here," Francis says. Increasingly, he began to doubt that. The one-shot miss at Q-School underscored the point. It was time to search for something new. Long interested in emerging technologies, Francis began studying virtual currencies. He's since gained a reputation as something of an expert in the field, with 30,000 followers on his Bitcoin-focused Twitter feed. The former can't-miss kid has hit it big in other ways. He has a job he likes and a woman he loves; she recently accepted his marriage proposal. He's even a bit smitten with golf again, playing casual rounds at public tracks around Chicago. He's gone back to his old swing. His scores are in the sixties. He's working on regaining his amateur status. His is a story with a happy ending, shot through with the lessons of a cautionary tale. "Part of me wishes I hadn't changed my swing and gotten injured, because all of that was tough to go through," Francis says. "But I really like where I am right now, and there's nothing better than being pain free."